Sun., July 1, 2018, 2:30 p.m.
BOSTON – A judge ordered federal emergency officials to extend vouchers for temporary hotel housing for nearly 1,700 Puerto Rican hurricane evacuees, saying ending the program could cause irreparable harm. Saturday night’s decision came shortly after civil rights group LatinoJustice PRLDEF filed a lawsuit seeking relief for the Puerto Ricans, whose federal housing assistance vouchers were set to expire at midnight Sunday, meaning the evacuees could have been evicted from the hotels. U.S. District Judge Leo Sorokin of Massachusetts wrote that ending the program would drain other public resources. He also said the evidence showed problems with the Federal Emergency Management Agency’s efforts to notify and provide transitional help for the hurricane refugees. 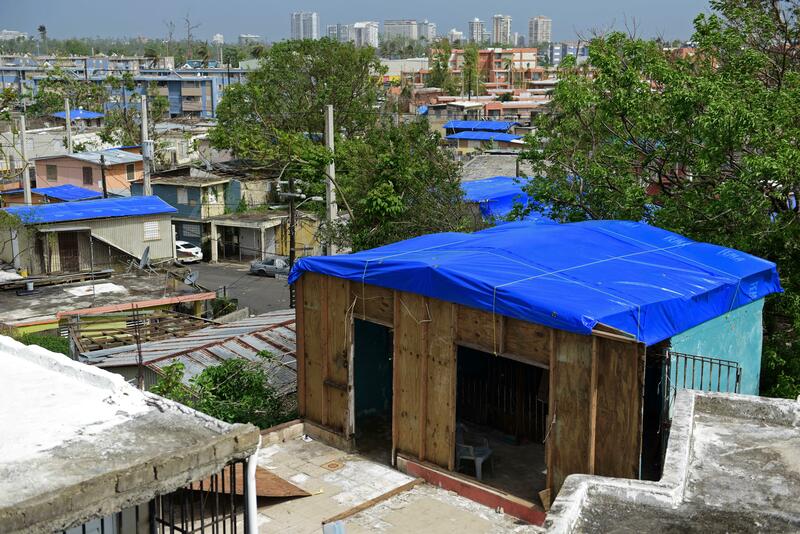 “The irreparable harm to the plaintiffs is obvious and overwhelming; tomorrow morning they will be evicted and homeless since by definition each plaintiff’s home was rendered uninhabitable by the hurricane in Puerto Rico,” he wrote. Forty-eight-year-old Denise Nieves resides in a hotel under the TSA program in West Springfield, Massachusetts, with her son. Her home in Toa Baja, Puerto Rico was flooded and is uninhabitable. Her son suffers from neurological dysfunctions while she has pulmonary hypertension. She has not been able to find permanent housing. The complaint says “they will be left homeless” in the event of eviction from the hotel. FEMA declined to comment on the lawsuit, but the Orlando Sentinel reports the agency confirmed it was working to notify hotels to extend the aid until July 5 to comply with the order. A spokeswoman also said the agency was extending transportation aid until August 30 to cover travel costs for families who wish to return to the island. Keith Turi, a FEMA administrator for the program, said in a video news release that the agency is working with state and local officials and volunteer organizations to find assistance for the evacuees and will help pay for a flight home. Craig J. de Recat is a partner with Manatt, Phelps & Phillips, the law firm working pro bono with LatinoJustice on the suit. He said evacuees had not been informed properly of the end of the program, with many finding out about the news from watching television. He said a hearing is planned for Monday to see if the restraining order should be extended. The Puerto Ricans arrived after last year’s Hurricane Maria, a Category 4 storm that devastated the U.S. island. It caused more than $100 billion in damage when it hit Puerto Rico on Sept. 20, and the island is still struggling to recover. Tens of thousands of businesses closed after people fled. Florida Democratic Sen. Bill Nelson said Saturday that FEMA could extend the program under current law. He said a similar extension occurred more than a decade ago after Hurricane Katrina caused thousands from Louisiana to flee to Texas. Nelson and Democratic members of the Florida Legislature said officials have told them the island remains too devastated to take back evacuees who remain on the mainland. There are few jobs, they said. At a Super 8 in Orlando, there were up to 33 families staying at the motel in mid-May. One of its occupants, 49-year-old Lizbeth Cruz, told the Orlando Sentinel that she’s not going back to Puerto Rico, saying she doesn’t trust the government to deal with another disaster. She carries around a small notebook filled with pages of hand-written addresses in nearby counties with leasing office phone numbers, price ranges and annotations: Call back. Visit in person. Not available. Published: July 1, 2018, 2:30 p.m.